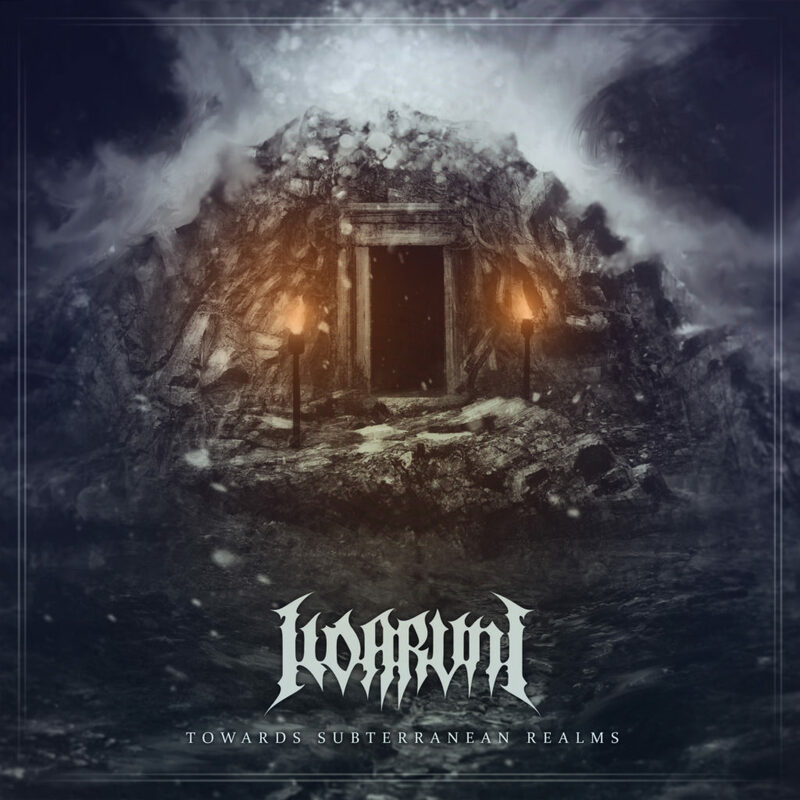 From Yerevan, Armenia comes Ildaruni , a Pagan Black Metal band with Armenian Folk elements. Formed in 2016, the band presents us now with their demo album Towards Subterranean Realms and This Is Black Metal Webzine got to know them better. This Is Black Metal: Hello guys, i’m really happy to have you here for this interview. What inspired you to start this project? 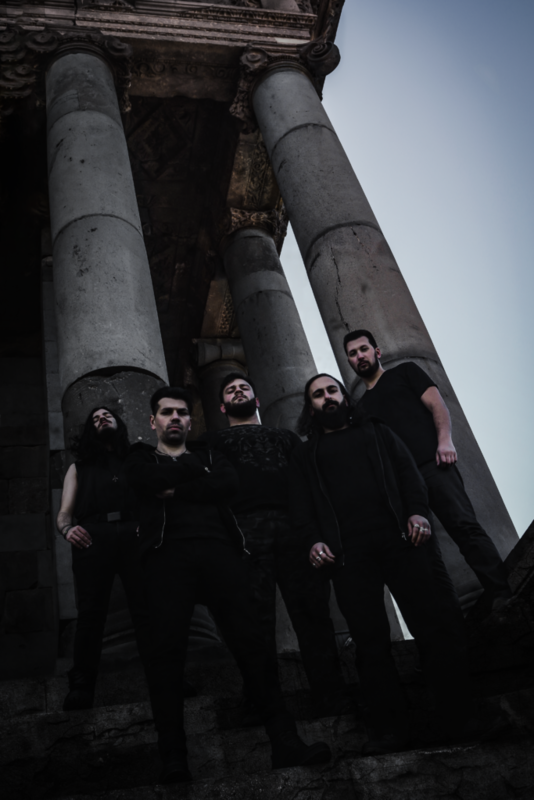 Robert: The primary inspiration came about from the ancient Armenian pagan culture, the legacy of the kingdom of Van and in addition, Black Metal as a genre inspired me to establish a band within these parameters. As such, our pagan past, culture, ancient Armenian Folk music and Black Metal as a genre in its aggressive compositional structure were all key inspirations in the fusion process of all these elements. Garbis: I joined Robert during the formation of Ildaruni back in 2016, when I met him through a mutual friend who introduced us. At the time, I was searching for a band with deep Folk and mythological influences in order to flaunt my writings for, so when I met Robert and he told me both the thematic and compositional aspects of this project, it just suited perfectly with what I was looking for at the time. This whole background became the main inspiration for me to delve even deeper in the rich but mostly forgotten ancient Armenian paganism aspects and even some of the lesser-known mystical and occult aspects of our ancient culture and to help Robert kick start Ildaruni as a vessel to introduce these concepts that would otherwise remain hidden. TIBM: What can you tell us about your background as musicians and earlier projects? Artak: I have been in a couple of different local bands during the last 4-5 years. There was Sacrament, where we mostly played covers of our favorite bands, alongside some original materials as well. Then I got into a few other side projects and after a few live shows and demos, I decided to focus on my solo project, Eternally Scarred, a Doom/Death band, I released a couple of singles and later a full-length album under this project. It was because of the work I have done for some of the side projects and my solo project that the guys from Ildaruni decided to invite me to sing in the band. Arthur: I was the drummer for Arbor Mortis –a local Black Metal band, which I had to quit due to time restrictions at the time. Then I played for another local, Heavy Metal band that incorporated some Folk and Punk tunes named Araspeluntil its disbandment. These days I play with Avarayr from Iran as a session musician and alongside Ildaruni, I also play with The Windrose. With The Windrose we mainly play Celtic, Scandinavian and Armenian Folk songs. I also have a dark ambient solo project called Project MK-Ultra, under which I have released four albums. Arthur: The first thing in Black Metal that inspires me is the powerful and deep atmosphere that it possesses, the energy that the performer channels through their “evil” chords and vocals. Since Black Metal contains many sub-genres within itself, it has the ability to convey almost all emotions and feelings that exist. Black Metal is a mental state; a lifestyle. In my opinion, it’s the only genre in metal, capable of penetrating your body and flowing alongside your blood through all your blood vessels. Robert: The ideological aspect of Black Metal inspires me the most, the anti-Christian aspect, the aspect of non-acceptance and rejection. It inspires darkness and the radical approach. TIBM: Your lyrics are inspired by Armenian history and mythology, do you plan on using that concept for future releases and what can you tell us about it? 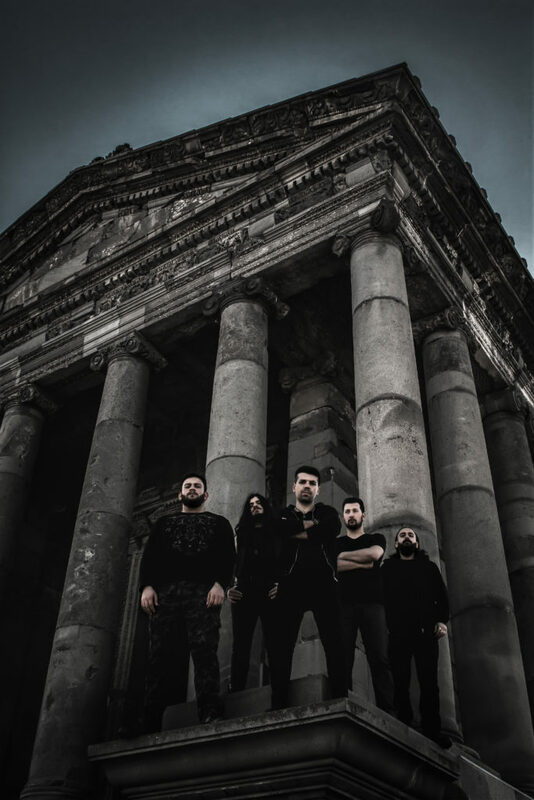 Robert: Our first album in its entirety is about the Van Kingdom, but our future releases will revolve around the prevalent pagan cultures that existed in ancient Armenia. Our lyrics also address specific historical events that have happened during those times, as such, our future releases will also follow that same thematic approach. Garbis: As Robert said, the first album is entirely about the period of time from our history featuring the Van Kingdom, but as we go forward there are still so many unexplored aspects regarding the different facets of our Pagan history that as a writer it’s very exciting to see what specifically we end up exploring next. One thing to mention though is the amount of effort that really goes into the writing process of our lyrics. Unfortunately, our history is a bumpy one and due to various factors, the amount of tangible historical assets that have remained to us to this day is very limited, especially written and recorded documents. Subsequently, it takes a considerable amount of time, between gathering the necessary materials, going through them in detail, fact checking multiple sources and conducting the necessary translations. All the while transforming and rewriting all these components into an art form, that is both applicable compositionally into our songs and at the same time avoiding turning this into a history lesson, but rather presenting the setting as a journey that our listeners can experience and potentially explore some aspects of our ancient pagan history that’s mostly forgotten. TIBM: What does Ildaruni mean? Robert: Ildaruni is the name of the Hrazdan River, as it was known back during the ancient Pagan times. Hrazdan (Ildaruni) is the second largest river in Armenia, and it still flows to this day directly through our city, so it only fits to venerate it for it being an ever existing source of life to our people since civilization existed in these lands. http://www.armenianheritage.org/en/monument/Zvartnots/44-this link contains just a small article, regarding an ancient inscription left by Rusa II –one of the ancient kings of the Van kingdom that addresses the IldaruniRiver. TIBM: Regarding the band’s logo and artwork, who created it? Garbis: Apart from the logo, our very own Mark Erskine (guitars) under his already esteemed design studio “Erskine Designs” handles the entire art direction of the band. Ariella Vaystukh designed our logo, way back during the band’s inception days. She is an LA based artist and an old acquaintance of ours under the name Ariella Vaystukh Art, she attended a couple of our rehearsal sessions and based on the music we played and a few directions on our end, she designed the current logo of our band, which we think she did a stellar job for. Mark: Besides playing guitars and recording Ildaruni’s album, I also did all the artworks for the band. The process went quite smoothly, since I play in the band myself, I’m very familiar with the aesthetic theme and feel of the band, so with a little bit of direction from Robert, I was immediately able to come up with the artwork and overall design of the demo release. The main starting point was “the Door of Mher” –a cave near the ancient city of Van, where the legendary hero Mher is said to reside to this day, to ride out on his fiery horse only when justice and peace prevails in the world. As such, having a good feel of our music on a first-hand basis and the direction that the guys provided me, we were able to find common ground in no time and now looking forward to coming up with the art for the full-length album. TIBM: How long did it take you to create Towards Subterranean Realms, and what are your plansfor the future? Robert: The recording process from start to finish took about five months, with a short hiatus during the process. The demo was set back by a couple of months, due to us taking part in a couple of live performances, a small line-up change and some situational circumstances. Our current plan is to release the full-length album next year, all the material is already written and rehearsed and we should hopefully hit the studio very soon. Besides recording though, our current plans also include expanding the range of our live performances, i.e. to play in our neighboring countries, specifically in Georgia where there is a larger audience. TIBM: You hired session musicians for this release, how was it to work with them? Garbis: We have had experience playing with both of the session musicians who helped in the production of this demo, since they both worked with the band in its early days. Shavarsh (guitars) played with us all the way until late 2017, so he had a decent amount of input regarding some of the guitar parts and Arthur (wind instruments) played live with us for our debut live performance but afterwards decided to step back and play in our recordings whenever needed.  TIBM: Some bands in the Black Metal scene don’t play live, what is your opinion on that matter? Artak: Totally okay with that. Black Metal since its inception has already shown some distinct differences from the traditional band concept. Whether it is technical issues, lack of musicians who share a similar mindset, or simply not wanting to perform live, it is up to the creator himself to decide.Burzum, Deathspell Omega, Summoning and many others are great examples of bands that have produced some really amazing material, but at the same time have (almost) never played any live shows. Robert: Both conceptually and musically, bands such as Bathory, Enslaved, Windir, Rotting Christ, Emperor, Melechesh and Dissection, these are all bands who have developed their own unique style, opening up completely unexplored musical horizons. The sheer size of their contribution and the effect they have had on the development of the generation that followed is immense. Each one of these bands have their own strong musical and ideological foundation and richness to them, which they have never wavered away from. TIBM: If you went into a desert island and you could only pick one album to carry with you, which one would you choose? Robert: My choice would be “Eld” by Enslaved. An album that carved a huge genre’s strong foundation.Every time I listen to “Eld”, I embrace it from a completely new perspective, I keep finding new details that in turn, inspire me in coming up with new materials for Ildaruni. Artak: I would probably choose any album by Alice in Chains. I love a lot of different genres, both Metal and non-Metal, but if we are talking about music that fits my general mood then Alice in Chains is the band. I absolutely love all of their records! Jerry Cantrell is a great guitarist and a remarkable songwriter, Layne Staley was an amazing singer too with a very unique voice, and I respect that William DuVall does not try to copy Layne’s style of singing. So yeah, I know the question is asking me to choose just one album, but I will go ahead and choose anything that is produced by Alice in Chains. Arthur: My answer will probably surprise both my band members and any potential readers too, but I’ll go with “Elwan” by Tinariwen. Robert: We’d like to thank everyone who have supported and continue to support our band and appreciate the effort we have put in, both now and back when we first started; and to stay tuned for our updates, which are guaranteed to be a lot, especially regarding some upcoming live performances this coming Autumn. Garbis: Just thanks for taking the time to read through this interview and if any of the previously mentioned stuff interests you, then give our songs a listen and let us know what you think.